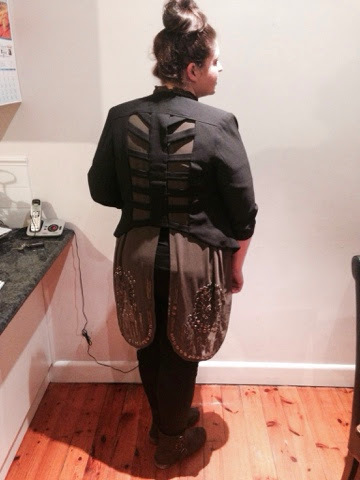 This is my amazing Asos purchase from the lovely girls kaiser & pasche at the A plus market. It's one of my favourite purchases from the last couple of months! This top is absolutely stunning there is so many reasons why. I love the khaki colour because it's very on trend at the moment but also I love the high neck. 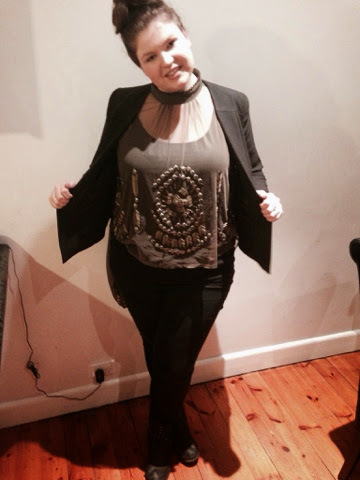 High neck tops are also very on trend at the moment, I have seen lots of them in shops and online and I wanted to get my hands on one that suit me and in believe I found the perfect one. I also love the gold beaded detail on the top it makes it about more dressy that way you can wear it dressed up with some gold earrings or just dressed down with jeans and boots and last but not least I love love love the dropped back, the fact that it's high low makes it so much more flattering and elongates the body. 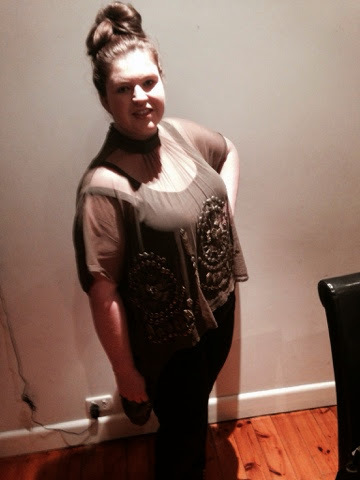 The sheer material also allows you to add colour under the top so you can wear it heaps of different ways. 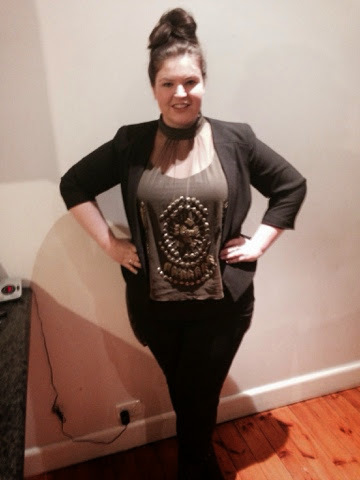 Also love love love this classic cut out black blazer from city chic! If you can get your hands on one you should. I wear this jacket so much, it adds style and individuality to any out fit and allows the colours of your top to come thru the back. It's just so cute and definite must to add to your wardrobe! !